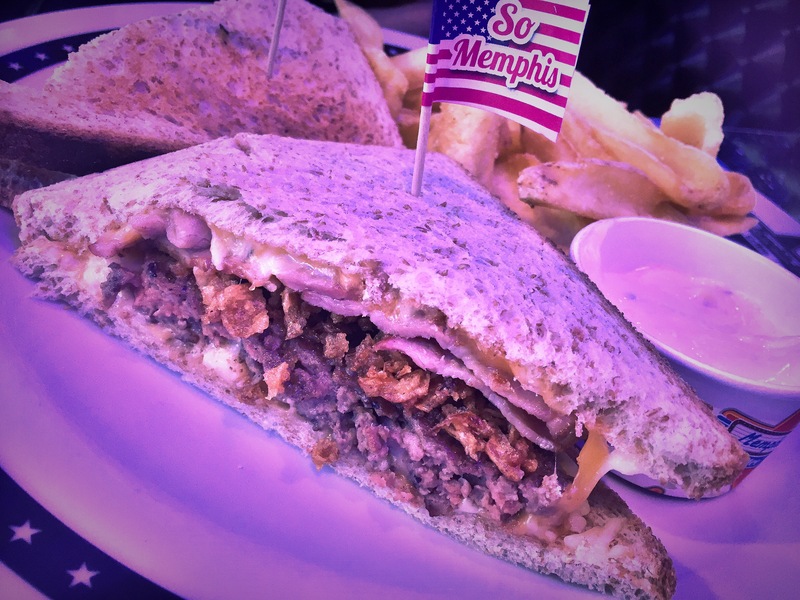 I visited Memphis Coffee, before Christmas vacations – but as I got some spare time to put my notes in order, it makes it on my blog only now, unfortunately. The restaurant – or, better, the diner – is located in Beggen, part of a mall structure on the main road, so not directly on the street and with easy parking in front. It is open all day and indeed it was one of the occasion we wanted to have lunch a bit later (4 pm 🙂 ) but we had no clear ideas where to go. We went for a mozzarella stick starter, I continued with a huge burger while hubby had a meat patty sandwich, and we concluded sharing another huge ice cream dessert. Below you will have the pictures of our lunch and then some comments related to the location and the food. – Great location: it was only for the big windows overlooking a very grey sky that we understood to be still in Luxembourg. Even if the restaurant is part of a franchising, the interior design is lovely, details selected with care, funny and totally different compared to what you have seen so far in the city. – Good quality/price: you can see you are not in a Michelin-star restaurant. 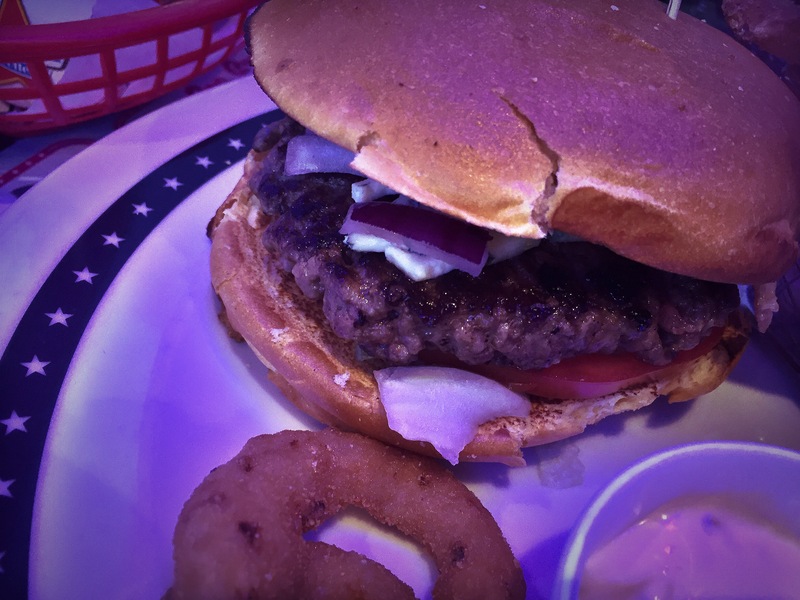 While the starter was an average frozen product, my burger was not that bad and same the dessert – only too much cream for me and not much ice-cream. It is definitely the place to visit when you are on budget but you want to have a night out. It is not like going to Clairefontaine – for sure – but it is not even McDonald’s. – Effective service: our waiters were smiling, fast and always available. – As per above: the quality of the food is linked with the price. 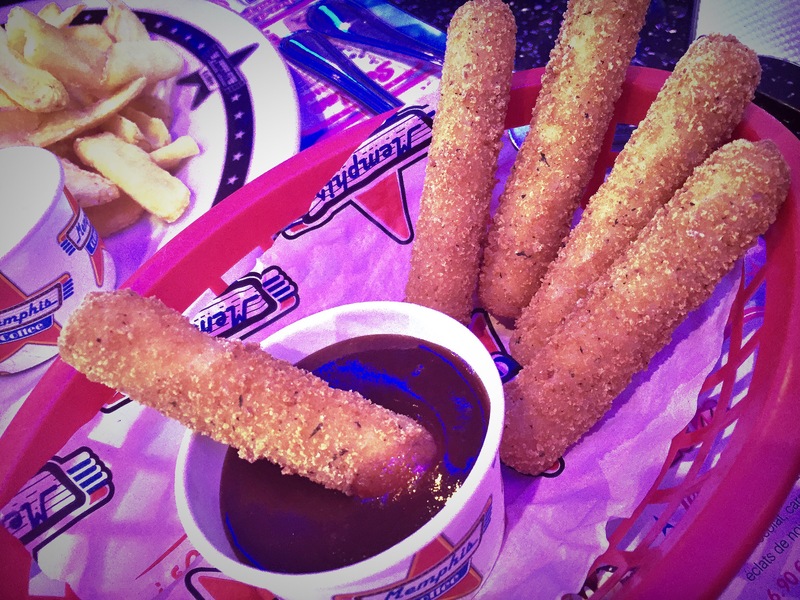 Frozen products like onions rings and mozzarella sticks were not memorable. – Cleanness: we arrived during the afternoon and the restaurant, except two tables of teenagers, was empty. Indeed there were still some tables with empty and dirty dishes to be cleaned up while waiters were chatting at the counter. It is not a good image for a client – one of these dirty table was next to us, there when we arrived, and there when we left. 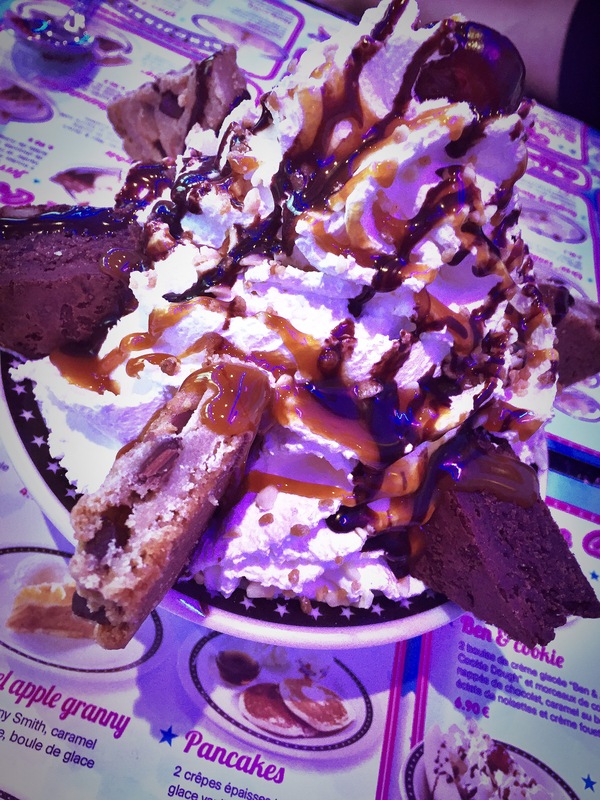 In conclusion: Memphis Coffee was reviewed extensively by my fellow bloggers before me, so I don’t have much to add. 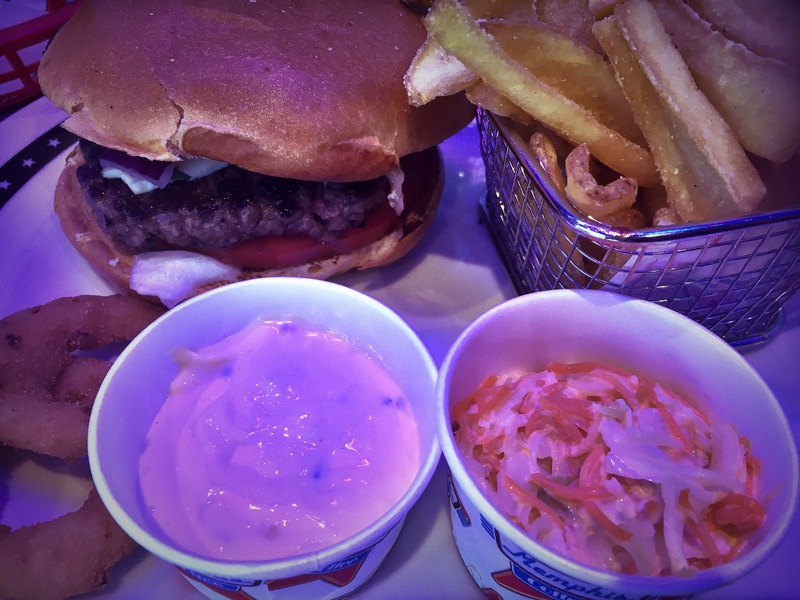 I love the place – really, you have to go, even for a milkshake – and, while the food experience is definitely not gastronomic, I did not find it that bad either. At least I was not served a burger that pretends to be gourmet but indeed is absolutely normal for 25 euro as some place in Kirchberg 🙂 Here you pay what you get – even a bit less, considering the environment – and you have big portions. Skip the snacks – definitely not good – and take a burger or sandwich with some dessert. Perfect post hangover recovery place or for a budget-friendly meeting with mates. I totally agree with you on this one!!! Personally speaking I will not go there for dinner or over week-end… It is a franchising, so you haven’t to have great expectations. But sometimes I go to Quick or Burger King after a big night out, I find it a good better alternative. I would love to have a real American experience in Luxembourg, but I haven’t found any yet. If you have any suggestion I will be glad to try! 😊 PS Except for Snooze I would say that it is my personal favorite burger place in town! The first time I went there, I had a bad experience with the waiters (very rude, a couple of mistakes with our order, a very long waiting time…). The second time, they were a bit better. But I agree with the food part. And love the decor. I’ve read very mixed reviews about Memphis Coffee, some were super positive, others were a bit more negative. Now after reading about your experience, I might give it a try for a milkshake but I don’t think I’ll have a real meal there. The food doesn’t look that appealing to me somehow, so I’d rather spend my money on a huge steak or a great pasta, even if that means spending a bit more. This looks SO good omg. I WANT!! Visit my new (german) blog if you want to. It’s new and I’m happy about every single visitor/reader.